UPDATE: As of 11:15 a.m., March 26, the silver alert has been canceled. FORT WAYNE — The Allen County Sheriff’s Department is investigating the disappearance of Kyle Nayhzieare Kelly (a.k.a. 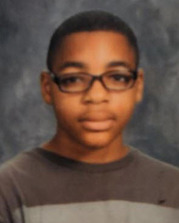 Lee), a 15-year-old black male, 5 feet 7 inches tall, 140 pounds, brown hair with brown eyes and last seen wearing glasses, a black jacket with lime green stripes down the side, blue jeans and green mesh Adidas shoes. Kyle is missing from Fort Wayne and was last seen at 3 a.m. Tuesday, March 26. He is believed to be in extreme danger and may require medical assistance. If you have any information on Kyle Nayhzieare Kelly, contact the Allen County Sheriff’s Department at (260) 449-7070 or 911.